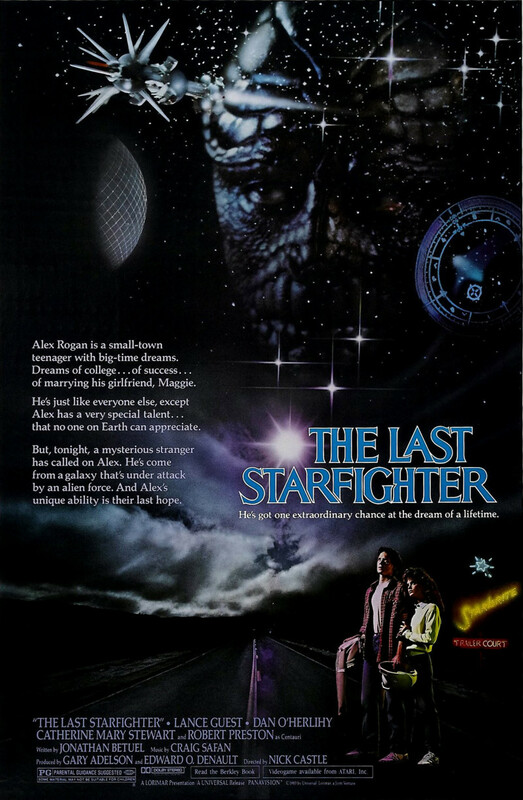 Alex Rogan is a normal teenage boy who plays his favorite video game, Starfighter, in an arcade every day. He gets so good that he achieves high score. When that happens, he receives a surprising visitor. Centauri tells him he invented the game. In fact, he is an alien sent to recruit Alex to be a real starfighter to help defend a planet called Rylos. Alex is at first reluctant and returns home to earth, only to find that the android Centauri left to impersonate him is still there. Centauri returns for him, but so does an enemy alien. It becomes clear earth is now threatened in this interstellar war. Wanting to defend his family and new alien friends, Alex becomes a real starfighter.